Irresistible Recipes on Facebook is giving on lucky person a Tassimo T20 Home Brewing System! It’s open worldwide and ends on November 24, ,2013. There’s even a secret prize when you refer two people to enter so tell your friends! Visit Irresistible Recipes to enter. Good luck. 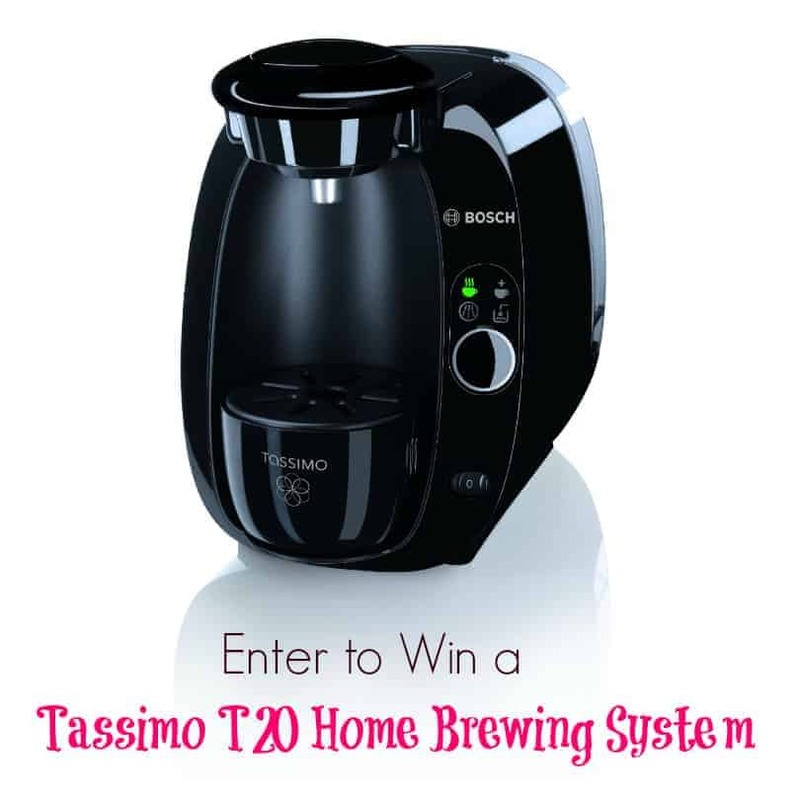 I’d LOVE to win this Tassimo brewing system, my sisters have one & they make awesome coffee! I have wanted one of these for quite some time. My wife sends me out daily for at least two coffees, and often more. Winning this would save plenty of gas money, and all the time it takes to ho and come back for the coffee shop! I’m a coffee addict but can’t afford to go to coffee shops each day.